with an 8 year old most of our travels happen in the summer time, wanting to show our little man as much of the world as we can. we picked virgin gorda in the british virgin islands to explore this year. i've heard so much about it and have wanted to go for as long as i can remember, so this trip was a dream come true. 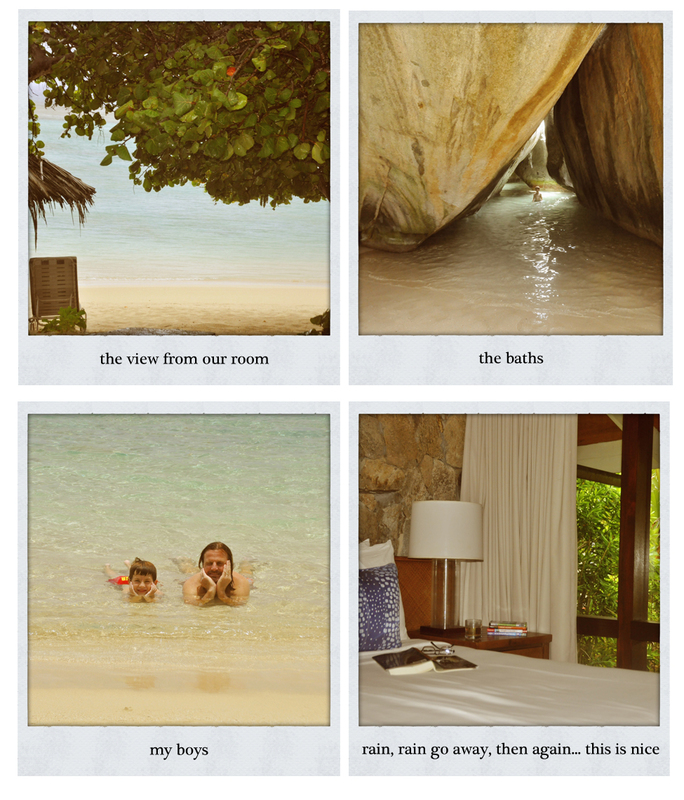 we stayed at little dix bay and our room was just this side of the beach. no lobby to go thru, no need for a cover up. it was magical and i highly recommend it. speaking of magical, matt woke up every morning with a pirate map awaiting him from captain jack sparrow no less. it took some effort to pull it off but watching him hunt for burried treasure was way too much fun. i basically grew up in the ocean so it's really important to me that matt's comfortable in it. it made it easy in the b.v.i. beacause the water is so warm and crystal clear. not to be missed is spring bay and devil's bay with high rocks to climb and jump off of and, of course, the baths! if you ever get a chance it's beyond beautiful and incredibly relaxing which is just what the doctor ordered.